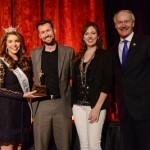 Arkansas tourism partners from across the state today honored the 2016 winners of the annual “Henry Awards” during a luncheon at the 42nd Arkansas Governor’s Conference on Tourism, held March 13-15 in Springdale. The Henry Awards honor individuals and organizations that have made important contributions to the state’s tourism industry in the preceding year. Governor Asa Hutchinson presided at the banquet and addressed nearly 500 attendees about tourism issues in Arkansas. 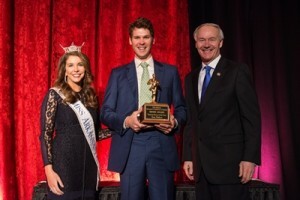 Kane Webb, executive director of the Arkansas Department of Parks and Tourism, served as master of ceremonies and Miss Arkansas 2015 Loren McDaniel assisted in the presentation of the awards.